How to Find Bed Bugs! Bed Bugs can be hard to find and even harder to�remove once they become established in your rooms. Learn how to find bed bugs before they become a problem! 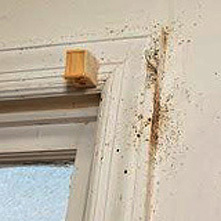 If you have an infestation, it is best to find it early, before the infestation becomes established or spreads. Treating a minor infestation with your own Industrial Bed Bug Heater is a frugal way to improve hotel guest reviews and save money on more expensive treatments. However, low-level infestations are also much more challenging to find and correctly identify. 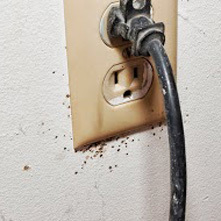 Other insects, such as carpet beetles, can be easily mistaken for bed bugs. If you misidentify a bed bug infestation, it gives the bugs more time to�spread to other areas of the house or hitchhike a ride to�someone else’s house to start a new infestation. 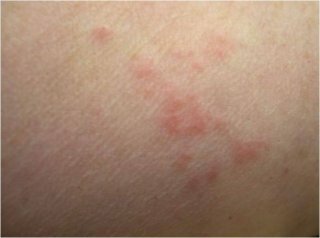 Rusty or reddish stains on bed sheets or mattresses caused by bed bugs being crushed. Dark spots (about this size: �), which are bed bug excrement and may bleed on the fabric like a marker�would. 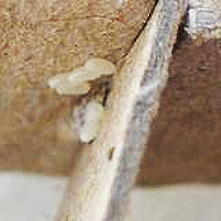 Eggs and eggshells, which are tiny (about 1mm) and pale yellow�skins that nymphs shed as they grow�larger. 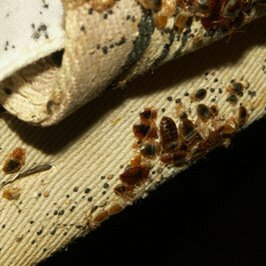 When not feeding, bed bugs hide in a variety of places. Around the bed, they can be found near the piping, seams and tags of the mattress and box spring, and in cracks on the bed frame and headboard. In the seams of chairs and couches, between cushions, in the folds of curtains. In electrical receptacles and appliances. Under loose wall paper and wall hangings. At the junction where the wall and the ceiling meet. Even in the head of a screw. Since bed bugs are only about the width of a credit card, they can squeeze into really small hiding spots. If a crack will hold a credit card, it could hide a bed bug. Understanding the behavior of bed bugs (how they eat, live, and reproduce) will help you to find an infestation before it becomes established and to monitor for the presence of bed bugs after your home has been treated. Appear to prefer to feed on humans, but will feed on other mammals and birds as well. Will readily travel 5-20 feet from established hiding places (called harborage) to feed on a host. Even though they are primarily active at night, if hungry they will seek hosts in full daylight. Feeding can take 3-12 minutes. The rusty or tarry spots found on bed sheets or in bug hiding places are because 20% of the time adults and large nymphs will void remains of earlier blood meals while still feeding. Bed bugs need at least one blood meal before the individual bug can develop to the next of the six life stages. They can feed more than once. Each stage also requires the molting of skin. To continue to mate and produce eggs, both males and females must feed at least once every 14 days. Each female may lay 1 to 3 eggs per day and 200-500 eggs per her lifetime (6-12 months but could be longer). Egg-to-egg life cycle may take four to five weeks under favorable conditions. Bed bugs can survive and remain active at temperatures as low as 7�C (46�F), but they die when their body temperatures reaches 45�C (113�F). To kill bed bugs with heat, the room must be even hotter to ensure sustained heat reaches the bugs no matter where they are hiding. Common bed bugs are found almost anywhere their host can live. 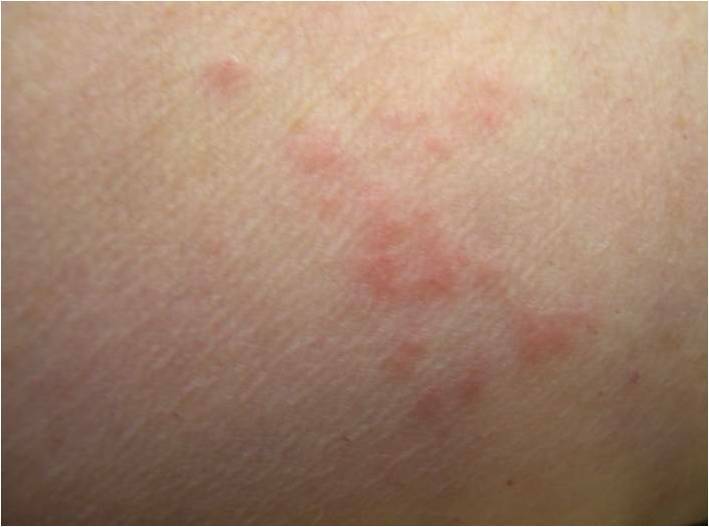 Tropical bed bugs (Cimex hemipterus) require a higher average temperature than the common bed bug and are found in tropical and subtropical areas.